Have you ever wondered about the Buddhist belief in karma and how it may be relevant to you in the modern age? Buddhists believe that the actions you take will produce effects that affect your future conditions. You accumulate good karma through virtuous deeds and bad karma through evil ones. In this article we’re going to share how you can incorporate the idea of karma into your life through five practices recommended by Buddhists. We’re about to show you how to do this. Why is peace, love and compassion so important for your karma? It’s because we live in an interconnected world, and ultimately how you treat other people is how you’re treating yourself. The Dalai Lama explained this in a recent article here: The Dalai Lama Reveals Why This One Simple Action Is The Only Antidote To Suffering. This one is pretty simple. Treat others as you would have them treat you. Act from the heart. Treat people with love and compassion. Dedicate a part of your day each day to reviewing your behavior, thinking also about how it can be improved. Keep in mind the moral code you’re developing for yourself, and evaluate your actions against it. It’s important to have a daily practice of reviewing your behavior so that you are mindful of the way you’re acting. You will give yourself to place your behavior into the wider context of the interconnectedness of all things in the universe. Meditation has profound benefits, helping you to identify the ego in your personality so you can become detached from it. 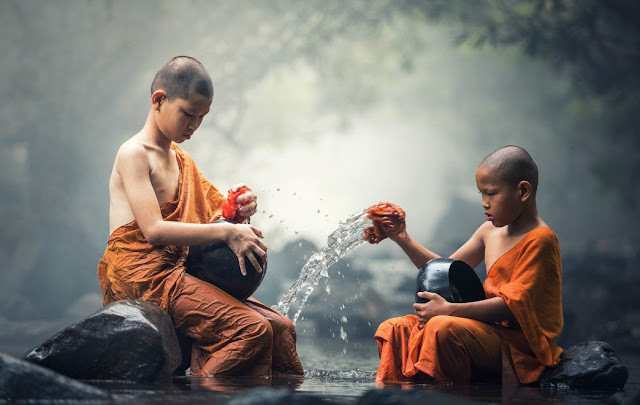 By doing this, you can sever the karmic connection you have with your actions, and this in turn will help you with changing the actions that caused the karma in the first place. Buddhists believe that in meditation, you can seek the help of guides and masters, forming direction communication with other worlds. You don’t need to believe in this yourself to get the benefit of imagining the presence of these guides. Just by embracing the idea, you create space and form in your mind for your own “higher self”, or “sub-conscious” to guide you. Your body has a natural intelligence to it, and wisdom will come to you in forms based on your beliefs. This is the state beyond your present understanding. By shifting your awareness to this elusive and necessarily abstract state, you will be enhancing your connection with your deeper self. According to Buddhists, negative karma is the result of ignorance. By visualizing a higher spiritual principle, you’ll be cultivating your intelligence in this area. The five practices mentioned here all work together in helping you to change your karma and live a life of peace, love and compassion.